A photo dated March 1982 shows Haiti 's former president Jean-Claude Duvalier sitting in his office at the presidential palace. Government seeking to withhold payment because funds were acquired by "illicit means"
(CNN) -- The Swiss government has gone against a ruling by its own Supreme Court and decided to freeze the assets of the family of Haiti's former dictator, the Federal Council announced. The Supreme Court decided last month -- a day before the devastating Haiti earthquake -- to reverse a decision that would have given the money to the Haitian people. The Supreme Court's decision would have potentially allowed the money to go back to the Duvalier family. The Swiss Federal Council, the seven-member executive that heads the government, said Wednesday it wants to avoid allowing the family to receive the assets -- which it said are worth $5.7 million -- because the family acquired them by "illicit means." The Swiss Federal Criminal Court has already declared the Duvalier family a criminal organization. "In pursuing its policy to avoid allowing the Swiss financial center to become a haven for illicitly acquired assets, the Federal Council has decided to continue the freeze on the Duvalier assets on the basis of the federal constitution," the council said in a news release. The council said it is also planning to draft a specific law that would govern the confiscation of illicit assets. The Duvaliers ruled Haiti for three decades starting in 1957, when Francois "Papa Doc" Duvalier was elected president. He later declared himself president for life, and he was succeeded in 1971 by his 19-year-old son, Jean-Claude "Baby Doc" Duvalier. The younger Duvalier held onto power for 15 years before a revolt forced him to flee the country. The funds have been frozen since 1986, when Haitian authorities asked for international judicial assistance to block them, the Federal Council said. 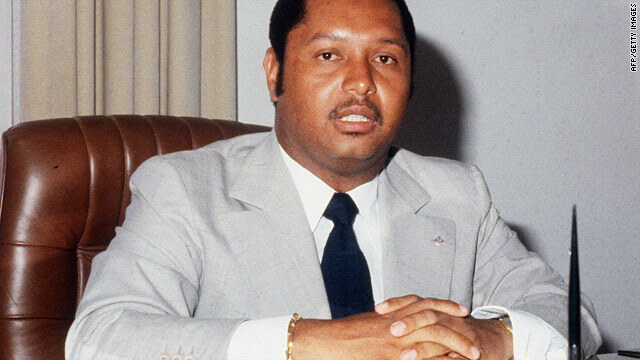 The Haitians accused Jean-Claude Duvalier of having plundered state coffers with the help of members of his entourage to get the funds, according to the Swiss Justice Department. A year ago, the Justice Department ordered the frozen funds handed over to the people of Haiti, saying the account holders couldn't prove the "lawful origin" of the money. It ordered the assets be used for social or humanitarian projects to benefit the Haitian people, with non-governmental groups being considered as recipients. Lawyers for the Duvalier family appealed, but the Federal Criminal Court upheld the Justice Department's decision in August. The lawyers appealed to the Supreme Court, which overturned the Justice Department's decision in January.